We appear to work in a profession of solving problems – allowing elderly folks to remain in their own homes as they age. Some, and certainly not all, of these solutions include reducing the wondering/forgetful risks often associated with Alzheimer’s disease, figuring out how to manage meals so proper nutrition is in place on a regular basis, making sure hygiene is adequate, and being certain that older folks don’t fade into the silent world of isolationism. This last issue is a whopper! The aging issue is incessant. And yet as big a problem as it can be, it often boils down to a few key issues; isolationism is certainly one of them. Solving the isolation issue can positively affect the overall life of an aging senior. So much so that by reducing a senior’s isolation that individual may become healthier, and certainly happier. The first dilemma we face in solving an elder’s isolation problem is to understand that many elder folks are part of a hidden population. Sometimes they are hard to find! We need to encourage families to speak up about their parents and/or grandparents situations. We need them to seek the help and aid of organizations like Visiting Angels. And, in turn, we need to work directly with families to resolve these isolation issues by educating their family, friends, and neighbors to actively seek solutions for their loved one’s isolation problem. Next, we must understand that isolation tendencies can, and do, lead to other health problems. One major health concern for those seniors who are tucked away from society is depression. In any given year, 21% of American seniors suffer a depressive episode, and depression is clearly a leading risk factor for suicide in the older folks of this country. It appears the list is endless, and it may very well be…All from avoiding others and becoming isolated. Does every elder person suffer from this affliction? Of course not. Yet with the rise in a world/global economy, kids relocating to the four corners of the globe for jobs, and with modern technology making it easy to stay right at home and operate your life (telemedicine, emails, Skype, etc. ), it allows the younger folks connected with that elder to minimize physical connections. Universally, the goal to bring that senior out of their isolated state is often missed. Encourage families to stay or become more connected. Suggest neighbors and friends stop by for a meal or a card game. 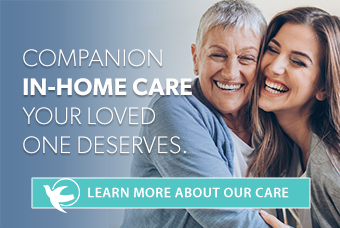 Provide information on local Adult Senior Day Care Centers so that our senior can evaluate the potential of being with folks in similar situations. Find out areas of interest to our seniors and see if any classes are offered in that field at a local recreation/community center (my Dad learned how to paint in his later years). Make sure you have regular family visits and outings. Schedule routine doctor’s visits for your loved one. In general, it takes effort on everyone’s part to avoid the pitfalls of becoming isolated. Think of the senior’s situation, and make a plan to reduce the negative effects of becoming isolated as we age.